The desire for change is strong, this need to explore and grow roots somewhere that will make the next stage of our lives fall into place. Eric and I are searching and questioning where that should be. Maybe it’s the process of searching that makes life fulfilling; the constant quest to grow, explore, and see more of the world. To make more of an impact and step outside of our comfort zone. Or maybe it’s the opposite – feeling content wherever you are and loving it anyway. Moving is by no means a foreign concept to me. Growing up, my family moved around a lot due to my dad’s ever changing jobs and I often wonder if that’s why I have a personality that loves to be in constant motion. 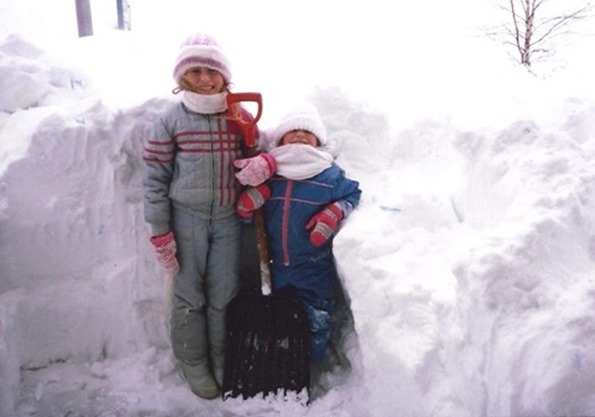 The first 4 years of my life were spent in Riverview, New Brunswick living and breathing everything that snow forts and a snowsuit could offer. From New Brunswick, we ventured to Florida (Oldsmar and Palm Harbor) to North Carolina (Charlotte) to Georgia (Woodstock) to Ontario (Cambridge) back to New Brunswick (Riverview) and finally back to Ontario (Milton, Guelph, Toronto, Milton, Oakville). Each move brought about a lot of anxiety, but it also promised adventure, new experiences, and new friends. In my case, it also resulted in a strange mixture of accents, or at least that’s what my friends told me. The Maritimer with the southern accent! She talks funny! When we sold our house and moved last spring, we decided to rent for the time being because we had no idea where we wanted to buy. Well, we still have no solid idea. It’s probably safe to stick around nearby, but something seems to be nudging us to explore other parts of Canada and beyond. Do we take the leap and try something new or do we stick with what feels safe and familiar? Whether we end up making a big move is yet to be seen, but we’re keeping our eyes open, evaluating options, and listening to our hearts. In the meantime, we’re trying to appreciate life right now as directionless and unsettled as it may seem at times. Really, what else can you do? I found myself with a macaroon craving this weekend, but the thought of turning on the oven just didn’t appeal to me after a marathon cupboard clean-out session earlier that day. Maybe it’s because spring is just a couple days away (can you believe it? ), but I’ve been looking to get outside more and enjoy simpler foods. Well when the sun is shining, that is. I don’t know about you, but I’m a bit tired of winter produce. It’s a bit like how I feel about pumpkin at the end of November. I don’t want to even look at it. So I couldn’t bring myself to peel the darn butternut squash that’s been sitting on the counter for way too long. Maybe in a few days, I tell the squash. For now, chocolate seems like a good alternative to peeling squash as I eagerly await spring produce. Even better if I can throw it into the freezer and head outside for a brisk walk. 3. Line a baking sheet with parchment paper or a non-stick mat. Using a spoon or retractable ice cream scooper, scoop rounds onto the sheet. Place sheet in the freezer for around 20 minutes, or until macaroons are firm. Store in the freezer until ready to enjoy. They will soften at room temperature. I believe we were both on our third macaroon when this picture was taken. Thankfully it’s blurred or you would’ve witnessed chocolate spread all over my mouth and face. That’s the sign of a good dessert! Looks amazing, can’t wait to try! As for your move, I’d have to put in a plug for Halifax, Nova Scotia – a beautiful part of the country, with a vegetarian community that would love to host your amazing food! I don’t think I’ve ever been to Halifax before (maybe when I was a little girl? ), but I need to plan a visit next time I’m in the area. I always hear great things about it! If you do, definitely hit up Wooden Monkey and Heartwood – such good food! sounds like a whole lotta vegan trouble! hah. Thanks for the tips. Yum!! I love macaroons as this no bake recipe sounds super easy!! This sounds amazing! Do you think it would work just as well with raw cacao powder? I can’t see why not…maybe start off with a bit less (4T?) and add the rest to taste. This is one of those recipes I equally love/hate you for at the same time. Especially when I’m hormonal and have all the ingredients on hand right now to make these immediately. I am a big fan of “leap and the net will appear” rather than staying “safe and secure” – every time I’ve taken a leap of faith, it’s paid off- or at the very least, I’ve learned something valuable. My husband always reminds me that we can change our minds at any time- if we don’t like where we’re living, we can pick up and move easily. I love that saying! Thanks for passing it along. Could you substitute agave nectar for the syrup? Would you use less or more then? I ask only b/c I have a ton of agave nectar and no maple syrup in the house.. Thanks! Yes I think that would work just fine! Agave is a bit sweeter than maple syrup spoon for spoon, so I’d probably think 3T would work fine. Add it to taste and you can’t go wrong. Thanks, these look yummy, and perfect for Passover! These look amazing and so simple. I cannot wait to make them. Might be my first sweet after my 7-day Spring cleanse is over. Good luck finding where you want to live! I also moved a lot as a kid (though your moves definitely outnumber my own) so I feel you on enjoying the idea of adventure. 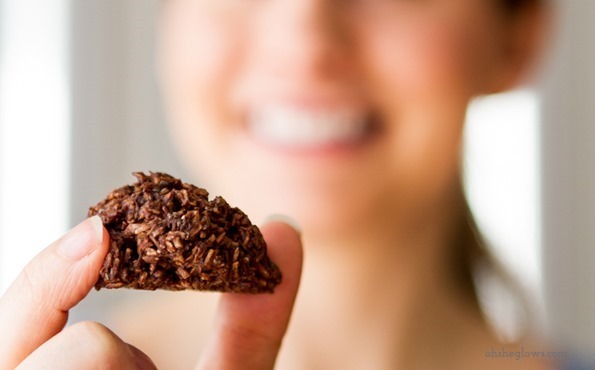 Thanks for the no-bake chocolate macroons. I will definitely be making these, probably more than once. I’m currently at my parent’s house in Riverview :), pretty great place to grow up! Yes it is. It’s changed so much since I was little too! Have you been back in the area recently? Calactus Vegetarian Restaurant in Moncton is great! It’s been a couple years since I’ve been back, but I did get to dine at Calactus a couple times when I was last there – so good!! So good. Their veggie burger is to die for. Come back to Charlotte! 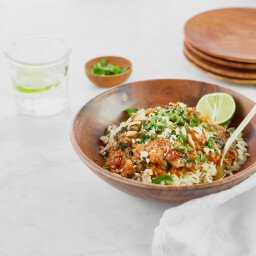 I hereby volunteer to taste-test all of your recipes! I love macaroons, these look so easy and delicious. Good luck with figuring out your next step/adventure. I am in the same situation, wanting to move but where will we go? Did you read my mind or what?! Feel the same way about pumpkin by the end of October LOL. Can’t wait to make these. Peace. Yum! Chocolate no-bake cookies were my favorite at the dining hall in college, though I’ve never made them myself. And coconut only makes things better! I feel the same way, move over winter produce, I’m ready for spring! Also, I know how you feel about the new adventure, I think mixing it up from time to time keeps perspective and keeps life fresh, go for it! P.S. I need 500 of these right now! Never before I’ve written here, but I must say that I love your blog and all recipes :)) Are so colorful and beautiful! Thank you, I’m so happy to have a reader from Poland :) My sister in law is from there and she says it’s beautiful. I’d love to visit some day. 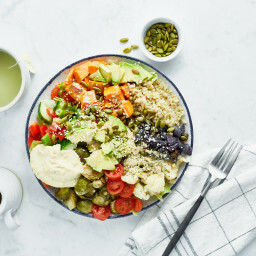 Here’s an idea for your next challenge in life and you guys could live anywhere……open Oh She Glows restaurants all over the U.S., fast food type but where people could eat healthy and on the go. Lunch hour would never be the same! Make the move to Calgary! Lots of great outdoor activities here, and lots of high paying IT jobs (with oil & gas companies) for Eric! 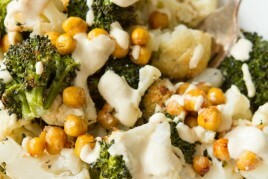 I am Jewish and Passover is around the corner (no gluten for 7 days… I hate the food on this holiday) so this is a great recipe, I am sure it will taste much better than the pre packed macaroons that are out everywhere now for the holiday! These remind me of “Fiddle Diddles” from my cookbook as a kid (although both oats and nuts were in that recipe!) Can’t wait to try this version out. ha- fiddle diddles…that is a much more creative name than mine. I think they can also be called haystacks? We’ve considered the West coast and love it, so it’s an option. Just not sure if we’d be able to afford it the way the housing market is these days. Lovely and easy-sounding recipe. Come up the Finger Lakes region of upstate NY. Beautiful! These macaroons look scrumptious! :) Can’t wait to try them, thanks Angela! Yay I have all the ingredients at home!!! These look awesome! Anything “no-bake” has me instantly intrigued!! I love the simplicity of the ingredients in this recipe, too. Indulging in treats that I do not have to feel guilty about are the best! Oh Angela, I can certainly relate to the desire to explore and step out of comfort zones. My husband and I have had the very same conversations (sometimes out of longing for a warmer climate than what we have in Calgary, but now it’s getting more serious). The wonderful thing for us about not being parents is that it’s easier to pick up and give it try, take that leap of faith and just go for it. All of our family is here, but I’m so used to moving around too (although mostly within the City, does that count? haha), I’m ready to be uprooted a bit and be challenged! We’ll be exploring a bit on our next vacation to see if we’d like to move, I’m pretty excited about the thought! Honestly, no matter what you and Eric choose to do, your passion will follow you wherever go and you’ll be that adventure together… what could be better than that?! I am out of bananas so I used unsweetened applesauce and they turned out delicious. I wanted something yummy to take to a friend’s house for dinner. She will love them! The unsweetened applesauce substitution for mashed banana is SUPER helpful! How much did you use, though? I really want to make these and there are no overripened bananas around! Yes there is banana flavor in them. These look like a perfect cure for the winter blues. Moving and starting over again can be tough. I hope you two are able to find what you are looking for soon. 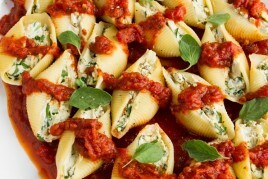 Yum – can not wait to whip some up. Question, I don’t have coconut oil and not sure Ill get to store today. Can you make without or what is a good substitute? I made these with peanut butter instead of coconut oil (trying to minimize saturated fat) and they turned out amazing! Not sure if they were softer than they would be with coconut oil, but who could complain? They are delicious. My husband and I made the big leap a few years ago from Ottawa to Vancouver Island. We left with a few suitcases and our cats and have never looked back. I cried so much on the ferry over to the island and was so happy/excited to finally be somewhere that felt like home. The ocean, the outdoors (little to no mosquitos, no black flies, no deer flies and little to no bugs make for wonderful camping and adventuring all year), the mild winters, the amazingly beautiful summers and the access to fresh produce year-round, plus all of the awesome vegan foods are some of the many perks of living here. The laid back culture is a major plus too. The first year was tough, but so worth it – in between bouts of crying and stress, I was hiking in the woods or swimming in the ocean and feeling my spirit soar! Whatever you and Eric decide, I can’t vouch enough for following that inner feeling/intuition of movement because it’s just so worth it! I second this!! I made the move from Ottawa to victoria myself on July. It was the right choice for me, a “gut” thing for sure. I love it here. My faith is making me drool at this deliciousness! And PS – I want about 50 of those macaroons right now! I loved macaroons before becoming vegan but have yet to try a vegan version. These look healthy and delicious! Macaroons are so good. I’m one of those weirdos who doesn’t go nuts for chocolate, so I think I’m going to try these with carob. Yum! This is such a fantastic recipe especially for someone like me who doesn’t like to bake much. I love macaroons, can’t wait to try making these with my daughter. Oh and I will be making these. Oh yes I will…..yummy!! Hi Angela, these sound very good….except for the coconut and banana…. I have a family recipe of no-bake cookies (macaroons) that I’ve adapted to make vegan and they are tasty just the same. Thank you for creating and posting these delicious recipes for everyone. These look amazing! I love anything that’s non-baking required and the fact that they’re chocolate makes them simply perfect to boot! ERMAHGERD!! I just looked through your site yesterday for a Macaroon recipe! Craaazy!!! Come to BC!! Ocean, mountains, great jogging trails, farmer’s markets, and LOT’s of vegan places. AND BC wine. Case. Closed. I want to visit Halifax! I’ve heard great things about it. The coconut oil and chia in these is such a great touch, can’t wait to try! I can see you moving to the Vancouver area, if not somewhere in B.C. :) If my Eric and I had the opportunity, I think we’d move there. Or move back to San Diego <3 Though I know our hearts are set on the Santa Cruz area. Our friends and family live here and being so close knit, it would be hard to move. You are just “across the pond” from Riverview as I like to say. ;) Lovely to meet you and thanks for reading! I have a recipe from 2009 or 2010 on my blog for something I called Chocolate Coconut Snowballs. 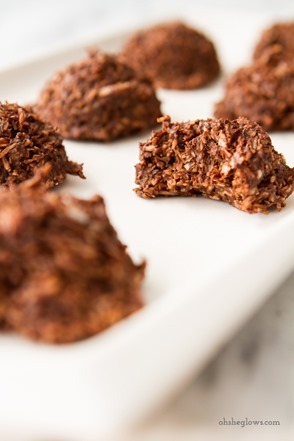 They were nobake coconut macacroons made with cocoa powder, maple syrup, coconut flakes and oil and stirred together. Love the simple ones like this! Oh Ange, I hear ya on the whole not knowing where you want to live thing. I think you and I need a good long chat to catch up soon (I know I owe you an email back!) I’m in the same boat 100%. I’ve only made two major moves in my life (from Edmonton to Bahrain, then back to Ontario. While I love travel, I’ve learned that I hate moving. I’m really hoping to gain some clarity in the near future so I can minimize the number of times I have to pack up my life! PS. You had me salivating at the sight of these ‘roons on Instagram yesterday! Hey Angela, It’s so nice to hear from you! So flattered you enjoy the blog. I’m going to shoot you an email to catch up. 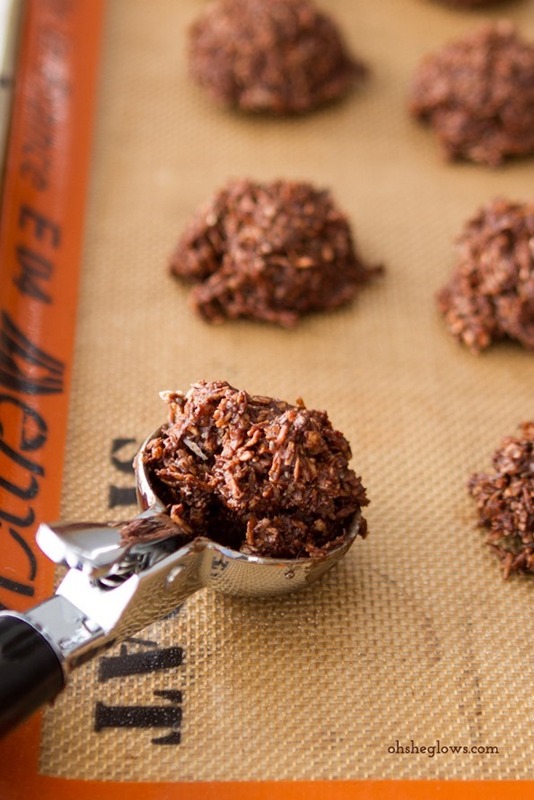 These look like no bakes my mom used to make, but I do believe these are likely much healthier than her version. Ha, Ha. I spent alot of my days with chocolate on my face. It just happens, we can’t help it. Looks yummy, I love a good fridge cookie. Made these for the family tonight because the ones I made yesterday are GONE! I forgot the salt, but they still taste good. I used 4 tbsp raw cacao powder and 2 tbsp. Dutch-processed cocoa powder. Will make again as I really like the banana/coconut/cocoa flavour. hah I know how that one goes! Oh! wow! can’t wait to make these! specially when I have all the ingredients in my kitchen. Do you think I could use frozen coconut though? Just made these and they turned out pretty good. Not overly sweet. I had used one vanilla bean but wish I’d used more or some extract. Very good for my mostly sugar free house. As much as I love Oakville/Burlington, it never really changes. I don’t blame you for getting the itch to move! I’m actually moving back to Burlington in April and I’m hoping my internship will keep me busy enough that I don’t get too bored! 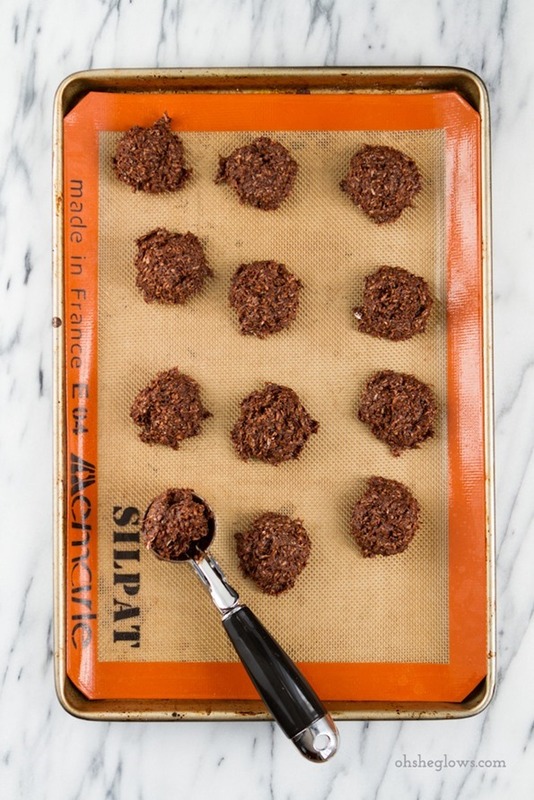 These look lovely, I’ve been craving macaroons lately myself :) and what could be more convenient than a no-bake recipe! Can’t wait to try. It’s so CRAZY to see all the places you’ve lived. When did you live in Woodstock, GA? I lived there for 6 years and went to Woodstock HS. To be honest, it’s not my favorite place in the world (I live in California now) and certainly not veg-friendly. Hey Kristen, I think I was 7 and 8 years old when I lived there for 2 years. I’m sure it’s changed so much since I’ve been! These are beautiful, Angela! I definitely understand not wanting to turn off the oven sometimes. The chia seeds in these sound great. I’m going to have to make some the next time a snack craving hits! I just made these and you should rename them Amazeballs! Next time I’m gonna experiment and maybe add some cayenne or orange oil or almond….so many possibilties! Thank you! These look so good!! You always amaze me with what you come up with! Oh Angela – these look so super yummy! I really like how you have been including the nutritional stats for your recipes. Thanks for taking the extra time to do this. Cambridge, Ontario?! Heck, we probably were neighbors, since I lived there until about seven years ago. As for moving, we’re heading for PEI, to a 40 acre farm. Bought it three years ago and have been renting it. It’s time to sell here and go! Nope, don’t know anybody there but it’s what the budget allowed and the dogs will LOVE it!! That sounds amazing – I love PEI. Have fun! I just have to ask if you have any substitution ideas for the banana? I’m allergic, but otherwise these sound heavenly! Hi Claire, The banana sweetens lightly and also adds a bit of volume to the batter, but I would expect they’d still turn out if you left out the banana. Why stay in Canada?? If your thinking of moving you could leave the country. Spain is really cheap, ;) If you have got the itch get rid of your junk and move somewhere you wouldnt expect (PEI maybe?) Im Canadian and after living in Saudi Arabia with my family for a few years I moved to London (UK) for a couple years, did a stint in Germany and found my home in Tuscany Italy. Sadly Italy is in bad shape right now and because I didnt want to live under a communist regime I picked up and moved to cheap cheap Spain. Three Bedroom house, Two Bathrooms, Swimming pool, huge yard, more sun then you can handle and a view of the mediterranean. All that and more for less rent then I paid for a tiny one bedroom flat in Florence Italy. I say if you have the itch stop thinking about it cause you will always find a reason not to scratch it. Grab life by the horns and take a risk, home will always be there when you need it. Or! If you want a holiday we have a guest bedroom and bath you can use if you want a stop in Spain. My husband and I are always hosting people we dont really know cause we love to host guest (hence the extra bedroom and bath!). 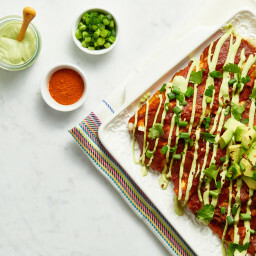 I have gotten so much from your site (Im not vegan or even vegitarian but I love your recipes non the less) I would be delighted to return the favor! What ever you two decide good luck!!! PS: Your macaroons look delicious! I never thought to use an ice cream scoop. Thanks so much for all these awesome recipes! Oh yum!! I love coconut. Have you every tried making coconut “bacon”? So yummy! Home (in Oakville too) with a sick, chocolate-loving toddler & just mixed these up. Didn’t have coconut oil so tried cashew almond butter. Batter tastes great. We’ll see how they firm up. Thanks, and good luck working out your wanderlust! Move to the west coast of BC, it’s where I’ve lived almost my whole life, and it’s amazing! There are lots of people from Ontario here too. My husband just applied to the Canadian Armed Forces as a mechanic. We are super excited (with a touch of the normal anxiety) about all of the changes and opportunities to explore it will provide! Wow, all kinds of love for Halifax! Come out East…..you’ll love it here! I made these last night, and I have to say that I was finding it difficult to NOT eat all the “dough” right out of the bowl. I added a couple of tablespoons of peanut butter because it’s next to impossible for me to not pair chocolate with peanut butter. The banana in the mix made the decision even easier! My husband raved about these as well, saying how fudgey and creamy they were, unlike traditional macaroons which are sort of candy-like and crumbly (in texture and sweetness). I definitely prefer a more chocolate/less sugar type macaroon, and will probably be making these “monthly”, when those chocolate cravings can’t wait for an oven! ;) It took me less than 10 minutes to throw together, aside from letting them chill. You’re a gem! [ Smiles ] Okay, this looks as though it would add on some pounds. But, it looks very tempting! These wonderful little gems are the first thing to go in my new freezer! I can’t wait to taste one. But from scooping out the bowl I can already tell they are going to be amazing! It’s not good to be hungry and be reading this. Lol. Looks great. Thanks for the ideas. I definitely love me a good macaroon!!! I’m so happy all these need is a little freeze time — I love these no bake varieties, but they often call for a dehydrator and I’m WAY too lazy to pull that out LOL!!! Good luck in all your decision making. My husband likes comfort and familiarity and I love adventure and change, so while I would love to move to somewhere new and exciting, our homebase will probably always be close to where we are now —- not that that’s a bad thing; it just means we have lots of travelling to do in our future! Can I put in a plug for Virginia? BEST move of my life with the friendliest people! These macaroons looks so awesome! Making them for my dad this week! I just stumbled on your site for the first time last night while trying to find a dehydrator-free recipes for some raw buckwheat I bought earlier. Let me tell ya – I’m soooo happy I found your blog. It’s amazing. And funny.. and pretty. Really looking forward to trying out some recipes. Aw thanks, that means a lot to me!! Locke st. neighbourhood in Hamilton Ontario! Beautiful brick houses, and an amazing community where all of your basic needs are within close walking distance. We are surrounded by waterfalls, trails and a thriving art scene. P.S. Thank you for your recipes; they are delicious and inspiring! You are killing me with these posts; first the shells and now these little bundles of chocolate goodness! Macaroons are my all time fav dessert. Holy crap, these sound delicious! One can never, ever go wrong when chocolate and coconut are involved (IMHO, of course). I can completely relate to the feeling of restlessness and the need for change, even if you don’t know what exactly that change will involve or where it will take you. It’s great that you and Eric are taking such a wait-and-see approach; keeping your options open and listening to your hearts is the pefect way to go. It’s sure to lead you to a beautiful and amazing adventure, and I can’t wait to see where life takes you guys! These look so good! I’m going to have to buy ingredients today to make them! Can’t wait. Thanks for posting. I have never made a recipe from your blog that I didn’t love. I just made this.. IT’S SOOOOOO GOOD! Super easy to do! It literally takes, like, 7 minutes to make! That last picture doesn’t even look like you…even though we can only see your smile. I thought maybe it was a friend. My husband and I are in the same boat as far as where we would like to “settle down.” Do you stay put or do we explore a new state. Colorado??? Hmmm.. These are DELISH! I made them a little smaller – 25 to the batch – so I could fool myself. :) I only had one cup of coconut on hand so I used some finely chopped almonds and cocoa nibs to make up the difference. FABULOUS recipe. These looks absolutely delicious. But if I were to take the cocoa powder out of the recipe, would I have to substitute it with another ingredient or leave it as is? Hi Caroline, I’m not sure…the cocoa powder does help thicken the batter so you might want to play around with the other ingredients or even try adding a tablespoon of coconut flour. goodluck! Is must be macaroon week – I’ve seen several new recipes, all different flavors! YUM. I just posted a new recipe for no-bake lemon poppy seed macaroons. Must try these chocolate ones next! My kids thank you! You should move to Victoria, we’ll do coffee! I made these last night and they turned out great! They’re so easy to throw together and so delicious that I’m sure they’ll become a regular dessert for me. These are my new favorite chocolate treat! Thanks so much, they were heavenly! These were DELICIOUS! They were also incredibly easy to make. I’m not a vegan, but I do love making as many plant-based meals and snacks as possible, so this fits our taste buds and our lifestyle. I did not have chia seeds, but I added flax seeds (1T) because I did want as many plants in there as possible. They came out fantastic. This is definitely a keeper, along with the Peppermint Patty Bars that I love so much! Mine weren’t frozen or as stiff as I’d like after 20 minutes in the freezer. I waited at least double that time for them to not be so soft and mushy. But hey, even soft and mushy they were great! These were sooo good. I added a cup of black beans and doubled the recipe. Also skipped the oil, and they turned out perfect. I know it’s taken a step away from the original recipe, but I couldn’t resist :) Your recipes are awesome. I seem to have almost everything on hand and love that they are so versatile that you can sub in as necessary! Being a sincere fan of macaroons, I tried to make these as soon as I saw your post…they are delicious (and very easy to make)! I suspect that this is going to be my favourite recipe ever! Thank you so much for this! Just made these and now I’m tapping my foot as they chill in the freezer. The dough was delicious! I’m already dreaming of adding some dried cherries and maybe almond extract to the next batch…. Interesting Recipe.. I love the idea of no baking.. This is really random, but I was wondering what you feed your cat. Cats are naturally carnivores, so do you make an exception for your cat and feed him meat, or is there some kind of vegan cat food out there? I am a cat lover, so I was curious. And those macaroons look really good. I’ll have to try them sometime. I made these today from the Yummly site, having all the ingredients in the house, and a craving for sweets! Their recipe calls for chai spices; cinnamon, cardamom, clove and pepper. I used them sparingly. Instead of freezing or baking the macaroons, I used my dehydrator and they came out perfect. I think I will use less coconut oil next time, as I don’t like the ‘greasy’ feel. These are an easy and delicious treat! When this desire comes it’s because you need to change… And that’s a great thing! Nothing adds you more consciousness than experiencing new things. And as I say that i’ve just arrived in your beautiful country all the way from south america. If I were you i would go explore it. I made these, except I used carob and added a little almond extract. I ate a good amount of the mixture before it could even get into the freezer! Wow. This recipe was absolutely fantastic. So easy and totally satisfied my chocolate craving! Thanks for posting! Hi I don’t eat bananas, is there something I could substitute? It will probably work without the banana, but I’m not certain. Goodluck! Made these yesterday and literally had to force myself to stop eating them… SUPER yummy, chocolatey and couldn’t have been easier to throw together. These will be my new “go to” snacky when I need chocolate!! I’m thinking about tossing in some peanut butter next time… NOMZ! I just made these for a Passover seder — yum! They were a hit. You should advertise them as “Kosher for Passover” as well as vegan, gluten-free, etc.! I’m actually quite jealous that you’ve moved around and explored all sorts of places– I’ve been stuck in the same area of the same state all my life. Maybe one day :) These cookies took TASTY! and if I don’t have to go to through the effort of turning on an oven, even better! I stumbled across this site as I was specifically looking for a no bake vegan macaroon. When I started reading, I almost fell over! That picture of the children in the snow could very well have been my sister and I, who were both born and raised in Riverview, New Brunswick. Times like these the world just seems that much smaller. I will be making these macaroons for sure and thank you for the post. I made these already and they are FABULOUS!! So good, I’m making a double batch tonight because I can’t get enough. LOVE! I just made these wonderful macaroons and I have to say they are fabulous! 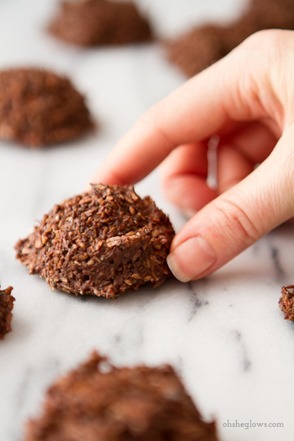 I have always loved chocolate macaroons and the fact that these are raw, gluten free and so quick to make is terrific. I used a little more coconut, half pure maple syrup and half Manuka honey and also added about 3/4 C chopped nuts (to add protein and because I love nuts with chocolate) and it worked perfectly. Thanks so much for this recipe! I am sure I will use it over an over! 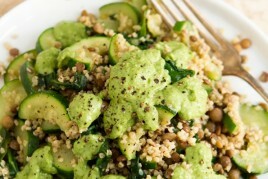 I have a new Vegan in the home and I’m trying to set her up for success with the new diet plan so began researching recipes and came across this. They are amazing! Even my non-Vegan friends are raiding the freezer to get to these gems. A must-try recipe. Thank you so much for your wonderful recipes. These are delicious! I did have to make a substitution which I don’t usually like to do on the first go round of trying a recipe. My 1 year old banana monster ate the last ripe one I had so I subbed in a small container of applesauce (~1/2 cup) for the banana and maple syrup. (I like desserts chocolate-y and not very sweet.) I also threw in 3T vegan vanilla protein powder and some raisins. Hmmm…once I get off track I really get off track. Nevertheless they are awesome and even despite the lack of added sugar my 4 yr old and his buddy thought they were fantastic. I will try them as written soon. And, while here, I’ll throw in a vote for my adopted home- Portland, OR. Fantastic outdoor access, great people, and amazing food for vegans and non-vegans alike. Hi Anne, Thanks for sharing your changes! So glad it still turned out. Also, I’ll be visiting Portland for the first time in May and Im so excited. I hear it’s very vegan friendly! So glad you enjoyed them Tiffany! Could you tell me where you got the scoop in the picture? I’ve been hunting for a good one for quite a while! Fabulous recipes. Love them all so far. Keep up the excellent work. Hi Mary, I think I purchased it from a kitchen store in Oakville – I’m sorry I can’t recall the name of the store at the moment! Perfect treat. I have made them several times and a everyone thinks they are just fantastic. So tasty! Thank you so much for this! My husband and I love these! I have made this recipe bounch of times and it is soo yummy and passed it on to a few girls that i work with and they love the macaroons too. My loves them and I cannot keep enough of them in my house. I just made these like 5 minutes ago and are in my freezer! What a simple recipe! I ended up adding a little more maple syrup as my cocoa powder was a little bitter, I just squirted in until it tasted right! Thanks for the idea, I have such a sweet tooth, this should help with cravings big time! I did 3 tbs of cocoa powder and 3tbs of caroub, it tastes delicious! Can you omit the banana? I just made them and it’s too overpowering for me. Also, my macaroons seem really wet compared to the photos of yours. Is it really 1/4 cup coconut oil? I followed the recipe exactly as written. Hmmm. Hubby packed a couple of these in his lunch today- they are very popular! My mother made these with walnuts added for me as a kid, and I was born in the early 1950s. Today, I add hemp seeds instead. High protein, vegan and allergy free. Now living in beautiful Penticton, BC. If you visit, Whole Foods (NOT the chain, older than the US chain, probably the original as it has the same green fabrics and logos plus blond wood) as well as Wall’as Bakery and Cafe have great vegan food. I just made these and they are FANTASTIC! Only took about 5 minutes to throw together, if that. Thank you for the great recipe!! This is an old post, but I also lived in Charlotte and am currently in Mississauga. I work just by the Oakville border. Making these for the family tonight! Hi Angela! Do you think these could be made with applesauce instead of banana? I have a friend that would LOVE these but is allergic to bananas. Hi I made these and they turned out delicious! However they turned out really dark, a dark dark almost black Mina brown.. Do you have any tips as to how to make them lighter? These are amazing and so fast to make! Perfect for after dinner sweets cravings! I swapped about 2 tbsp of the coconut for rolled oats and added about 2 tbsp of chopped toasted peanuts and used raw cacao. They were so delicious and the peanuts added a perfect crunch! Even though the weather is getting so cold here in Australia these were so yummy straight from the freezer! Thanks for another awesome recipe! Hi! I know some of these substitutions might sound atrocious, but I was wondering if I could substitute the coconut oil for vegan butter, and the maple syrup for brown sugar (+a few tablespoons extra to match the sweetness)? Made these today and they were a hit! I was wondering how long those delicious macaroons would last (in /out of fridge)? Just made these for Passover and snuck one (or two) to taste. Yum! Love that there’s no refined sugar in them. These were great! I made them a bake macaroon by adding an egg and 4 tablespoons of hazelnut flour. They are way too delicious! Delicious! And I hate bananas! Thank you so much for sharing! How long would these last in the freezer? I was thinking of making quite a few of them ahead of time for the Holidays but not sure if they would last that long. How long can they be Unrefrigerated ? I live in Sydney, Australia and have travelled up the entire east coast of America taking 6 months to drive including right around Nova Scotia also staying in Halifax. I thought it a very pretty spot to stay including walking around the wharf area. I only hope one day that I can get back there. Could I use more than 1 banana as have some ripe ones at the moment. Hey Kaye, It may throw off the wet to dry ratio in the cookies, so I’m not sure. If you try anything out please let us know how it goes! I am not vegan, I made these for my daughter’s fundraiser who is vegan. Okay so perhaps, there was enough left for maybe 6 more. Yes I ate them, I admit. I won’t eat regular chocolate macaroons ever again. These are awesome!!! Hey Irene, I’m so happy they were such a hit! We love them too (and they’re just so easy to make).